Application Fee : Rs.250/- for general category and Rs.50/- for SC/ST, to be paid along with application by means of Demand Draft (Crossed Account Payee) favoring South Indian Bank Ltd, payable at Hyderabad. How to Apply : Application (Passport-size photograph pasted thereon) should be accompanied by self-attested copies of all mark lists and certificates to prove the age and qualifications.Please super scribe the envelope containing the application “Applicaiton for the post of Pro. Clerks” and send to Dy. 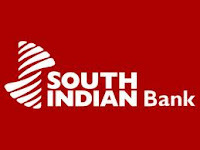 General Manager, The South Indian Bank Ltd, Regional Office – Hyderabad, CHAI Complex, 157/6, Staff Road, Diamond Point, Secunderabad-500 009, A. P. so as to reach on or before 04.08.2012.